A unique and attractive look for kids dolls every day. Fit for 11.5 inch dolls. 1*Doll Dress 1*Veil(Doll and other accessories are not Included). • 100% brand new and high quality. Featuring gorgeous design. • NOTE: Third party product, not original. They are made to fit the popular doll products. We are not implying in any way that these items are associated with Mattel. We simply just offer great products to complement the doll products. • Fashion design and easy to wear, perfect fit for 11.5 Inch dolls. 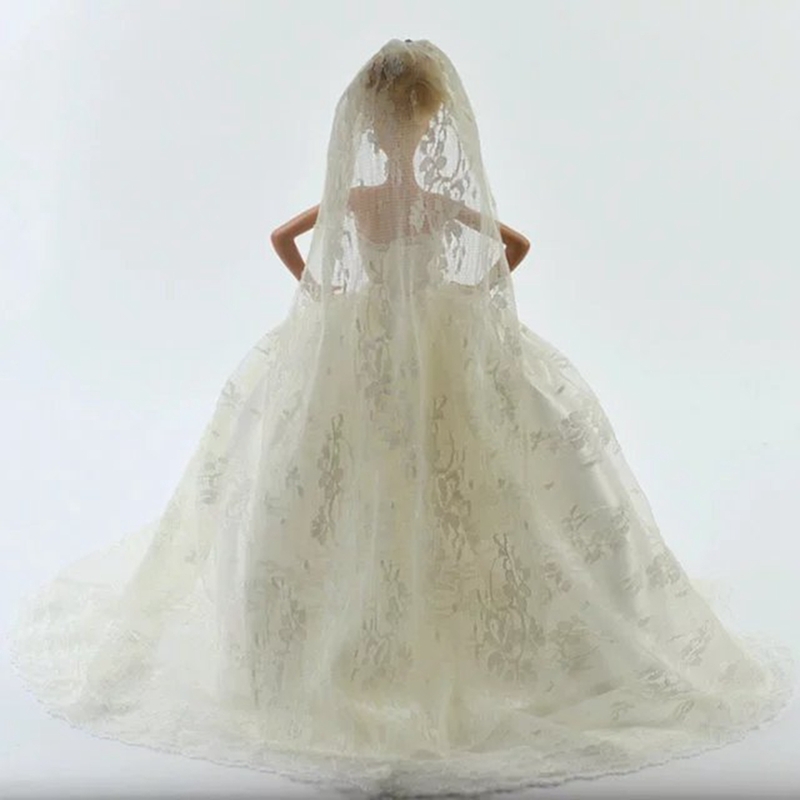 • Includes 1 pcs doll dress with 1pcs veil(Doll and other accessories are not Included). • Nice and cute gifts for your kids to dress up the dolls and encourage gross and fine motor skill development. Recommended for ages 3 years and up.